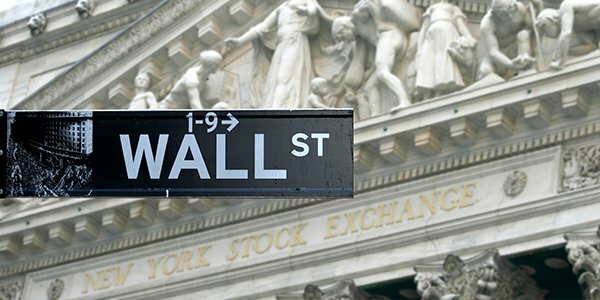 October Mid-Month Review: Wall Street’s Record-Breaking Rally Continues as TSX Approaches Eight-Month High - Inukshuk Capital Management Inc.
October 19, 2017 /in Market Update /by Inukshuk Capital Management Inc.
October has been a favourable month for North American markets, with Wall Street resuming its record-breaking run and the TSX notching fresh eight-month highs. Upbeat earnings, rebounding financials and a nearly six-month high in energy prices have underpinned the latest equities rally. U.S. stocks are up across the board through the first two weeks of the month as investors continue to bet on a strong earnings season. As of Friday, 6% of S&P 500 companies had reported earnings, with four out of five companies posting per-share profits that surpassed the median estimate. An additional 78% posted positive revenue surprises. Corporate earnings for the benchmark S&P 500 have been strong all year long, a trend that is expected to continue with the most recent quarter. By Monday’s close, all of Wall Street’s major averages were in record territory. They’ve now added between 14% and 23% this year. Canada’s main equity index approached eight-month highs on Friday, helped by sturdy gains in the heavyweight financial services group. The Toronto Stock Exchange’s S&P/TSX Composite Index was little changed on Monday, settling at 15,802.70. The index has gained 1% in October and 3.7% over the past month, bringing the yearly return to 3.4%. The TSX has also been underpinned by a rebounding commodity sector, as oil prices continue to recover. On Monday, the West Texas Intermediate (WTI) benchmark for U.S. crude hit a session high of $52.37 a barrel in New York, the strongest level since Sept. 28 and just 50 cents shy of a six-month peak. 2017 has been a dramatic year for cryptocurrencies, with Bitcoin returning nearly 500% since Jan. 1. The cryptocurrency notched fresh all-time highs last week, as investors shrugged off a growing regulatory battle between the backers of blockchain and world governments. China issued a blanked ban on initial coin offerings (ICOs) and Bitcoin exchanges last month. South Korea quickly followed suite with an ICO ban of its own. Earlier this month, Russia said it would seek greater regulatory oversight of the new digital asset class. The global cryptocurrency market is now worth $175 billion. Earnings season will continue on Wall Street and Bay Street for the rest of the month, giving investors fresh insight into the health of North American markets. On the policy front, the Bank of Canada will issue an interest rate decision Oct. 25, roughly one week before the Federal Reserve. FactSet (October 13, 2017). Key Metrics. Tom DiChristopher (October 17, 2017). “Oil prices rise toward six-month high as new Iraq conflict threatens output.” CNBC.